Mystro and Wizkid collaborate on new single, "Immediately"
As far as media reception goes, Mystro’s first post-album single, “Immediately”, carries embers of his 10-track Sugar project. It’s convenient to chalk up the Complex premier to guest feature, Wizkid’s international media presence, but given that Mystro’s album was chock-full of features from artists like Maleek Berry, Simi, YCee and others, we’re inclined to believe the allure for “Immediately” lies in its sonic attributes. From the warm keyboard tones, rubbery bass, and a mid-tempo gait that hits somewhere between Wizkid’s “Soco” and music you’ll expect from live bands at weddings, “Immediately” is tailored for murky dancefloors. 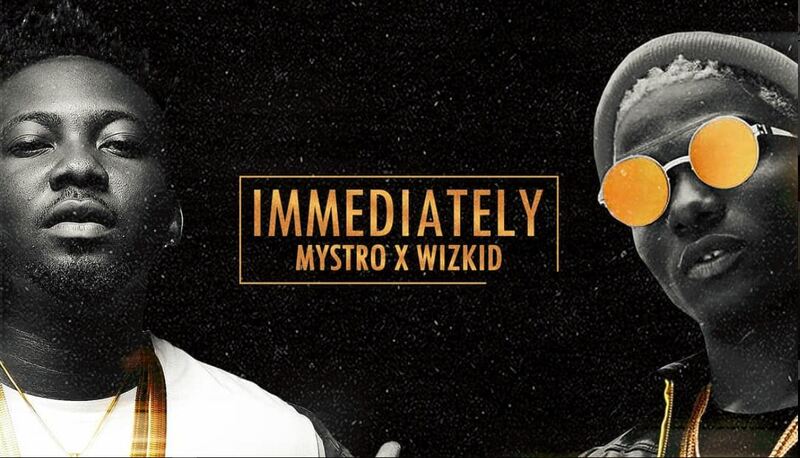 The lyrics, encouraging listeners to get their grove on heightens the song’s potency on dance floors exponentially as Wizkid and Mystro’s soothing vocals blend together to make “Immediately” a truly communal song for the summer. It’s great to talk about what makes “Immediately” good, but you know what? It feels even better to just listen to it. You can stream it below.